Videsh Sanchar Nigam Limited (VSNL) is India’s leading provider of International Long Distance (ILD) services and Internet services (Hindi: Videsh = Foreign Country; Sanchar = Communication; Nigam = Corporation). Until the opening up of Indian telecom industry to private players, VSNL was the sole provider of ILD services. In 1932, Indian Radio and Cable Communications Company (IRCC) was formed by merging The Eastern Telegraph Company (established in 1872) and the Indian Radio Telegraph Company (established 1927). Soon after the independence in 1947, Indian government took over IRCC and made it a separate department (Overseas Communication Services). VSNL was incorporated in 1986 to look after the activities of this department. In 2002 the Indian government divested about 25% stake in VSNL and the Tata Group acquired about 45% stake in it. As of June 2007, Government of India holds 26.12%, Tata Group 50.11%, Institutional investors 14.86%, corporate bodies 0.54%, individual retail investors 2.86%. 6.05% stake is held by custodians against which depository receipts have been issued. VSNL’s corporate solutions are given below. 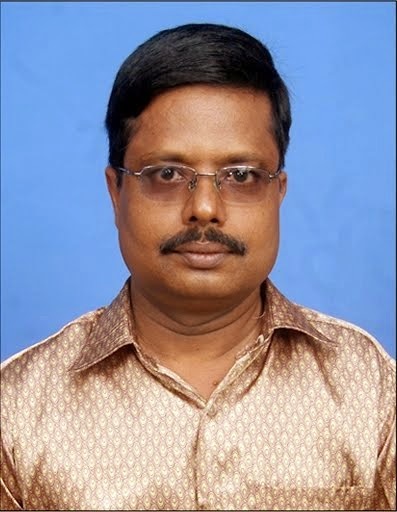 In 2004, VSNL acquired Dishnet DSL, a Chennai based Internet Service Provider belonging to Sterling Infotec group. The acquisition helped VSNL consolidate its presence in Internet business under the Tata Indicom brand name. Of late, other basic telephone service providers like BSNL (Bharat Sanchar Nigam Limited), MTNL (Mahanagar Telephone Nigam Limited, Delhi & Mumbai), Reliance and Bharti Airtel provide ILD services as well as broadband/dial up internet access. 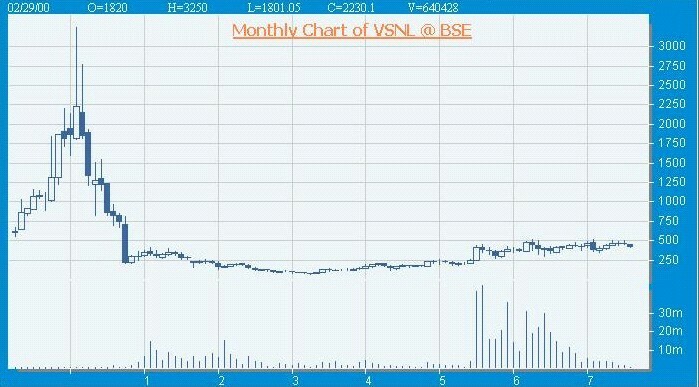 VSNL is one of the 11 Indian companies listed at NYSE. In India, it is a constituent of BSE-100/TECK Index and also Nifty. At NSE it has a market capitalization of Rs.13030 crores and weightage of 0.55% in Nifty. 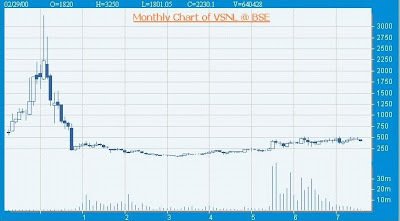 Over the last two financial years, VSNL has declared nearly consistent net profits of Rs.480 crores and Rs.469 crores. It has an EPS of nearly 16.4. With the arrival of new players in Internet services industry, VSNL faces stiff competition. BSNL, MTNL and Bharti Airtel provide voice solutions (local/national/international) along with broadband connectivity through underground copper cables. Tata Indicom has also started providing wireline phones/broadband access to homes, but only at Ahmedabad, Bangalore, Delhi and Hyderabad. At some places, VSNL’s cables pass overhead; this sometimes leads to disruptions in internet services. Only 14% of the users at Mouthshut have recommended Tata Indicom’s internet services. Please read more here. In the monthly chart shown below, it can be seen that during the dot.com boom the stock reached a high of 3250 during February 2000. But within about 8 months it collapsed to 211. So, even fundamentally good stocks can be affected badly in certain situations. Obviously it may not be possible to reach a price of around 3000+ from the current levels of 420 even in the long term. Let us now discuss the medium term trend of the stock using the weekly chart. There is strong resistance at 515.80 in the weekly chart of the stock. One can also spot the “Double Top” formation at the resistance level. This indicates bearishness. The three attempts made by the stock to pierce the resistance have turned out to be futile. Importantly, the volume has gradually gone down – an indication that not too many investors are interested in the stock. But this is the case during the recent uptrend, suggesting that the trend was weak. All these factors conclude that the stock is bearish for the medium term. Unless the stock closes above 515.80 with reasonably good volumes we can’t expect much from the stock. Those who bought at reasonably lower levels may exit the stock as it is turned bearish. Fresh long positions can be initiated for medium term after confirmation of breakout on the upper side.